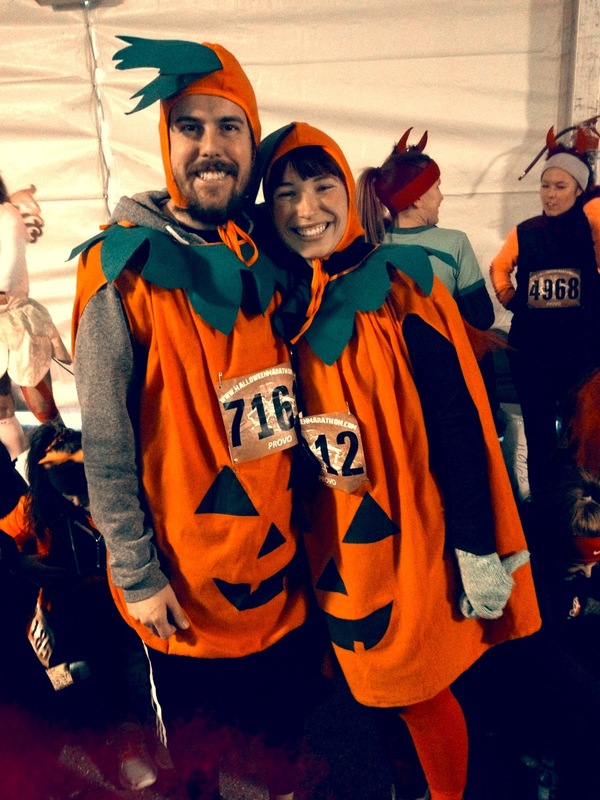 Last Saturday, Jake and I got to run/walk the Halloween Half Marathon! 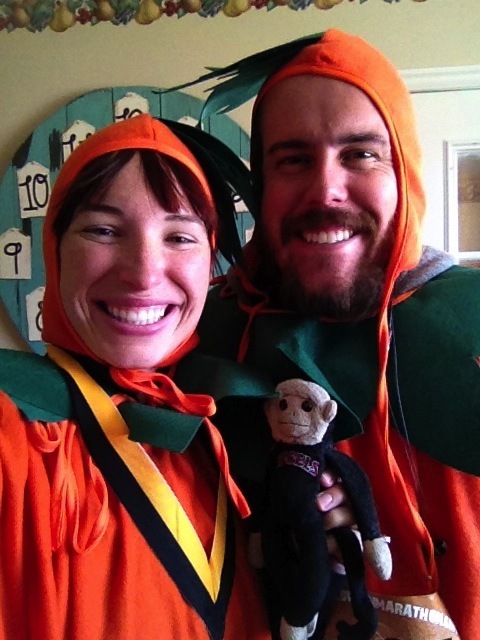 We were so excited to wear our pumpkins and go for a run! We got to meet some really nice people along the way and enjoy seeing some fun costumes! A lady with a cheese head might of been my favorite 🙂 oh and there was an Ezma and Emperor Kuzko! Those were awesome! 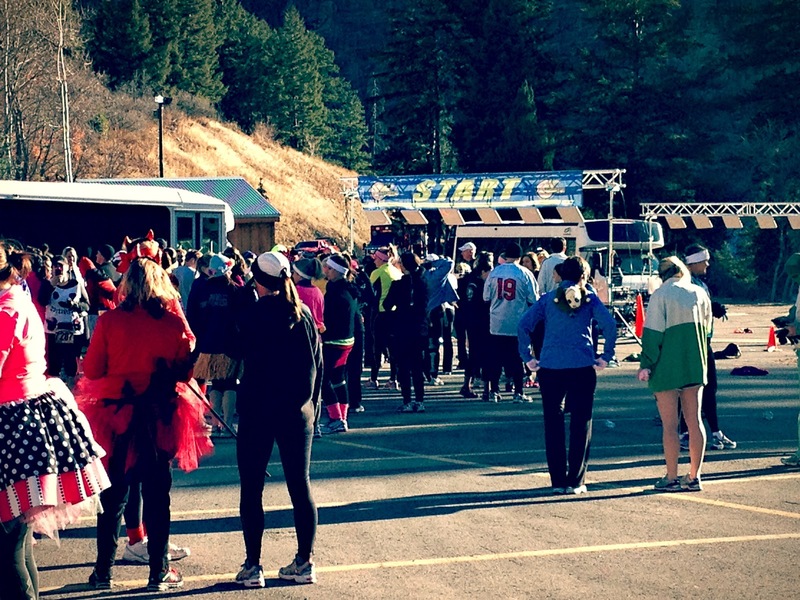 We woke up bright and early to meet at the mall and take the buses up to Sundance to get ready for the race! 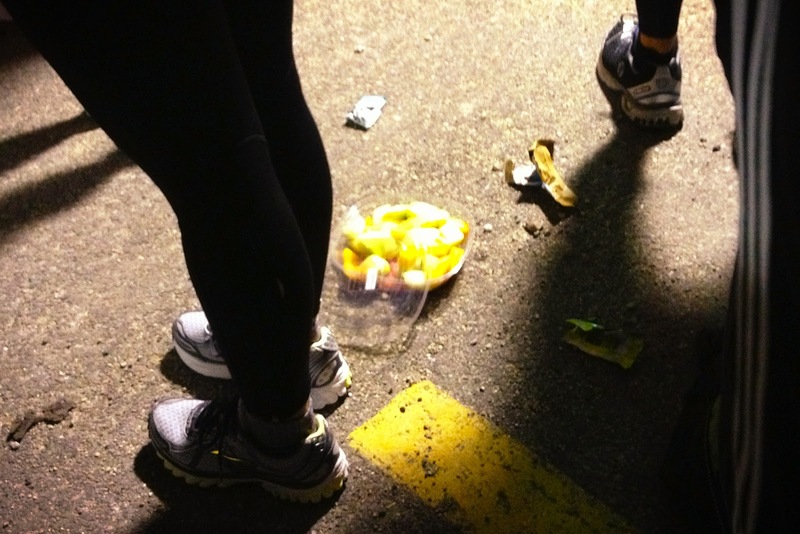 One thing I dont understand when I go to races is all the trash everywhere. I dont get why people dont take there trash…to a trash can? I was laughing so hard at this thing of fruit that was left. See all those portapotties to the right…well right before the race I wanted to pee, and just walking by the portapotties, and they smelled so bad…and I mean bad. I have never smelled such a strong rank smell, it made me throw up on the spot it was so nasty. Maybe because I thought…”How can all this human poo smell this horrible?” But yes, I really threw up and didn’t go pee it was so bad. Next time I will go pee in a bush even though it was freezing out! Let the race begin! 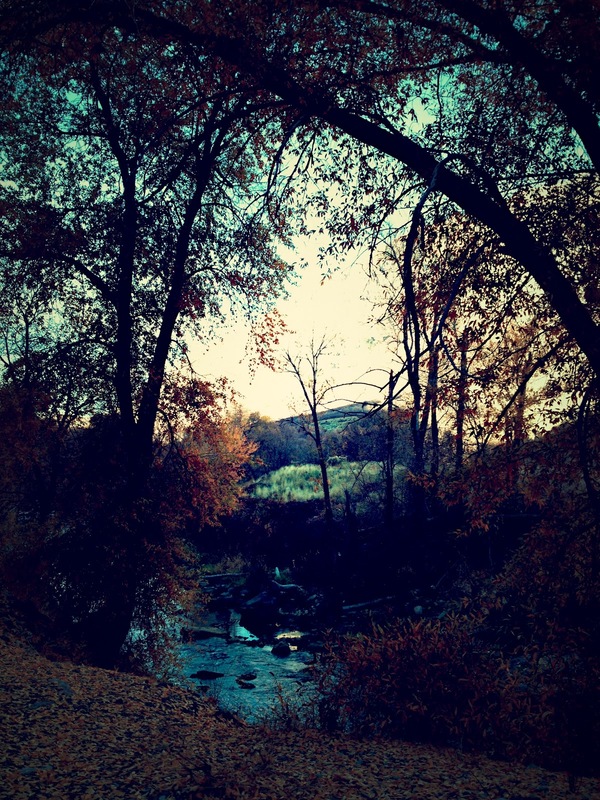 It was so beautiful out! It was nice and cool out the entire time, so it was nice that we didn’t have to take our layers off! I liked that! 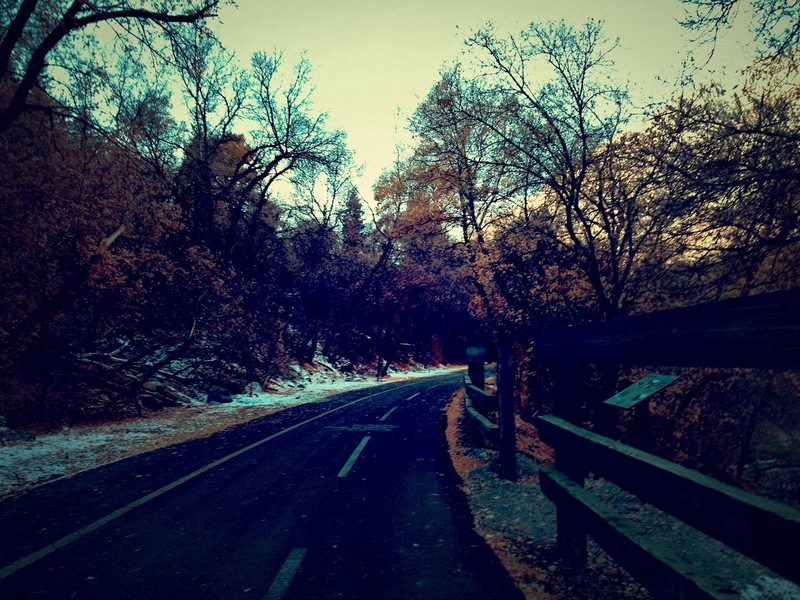 It was also fun to see the leaves falling and some snow on the sides of the ground. It was lovely. 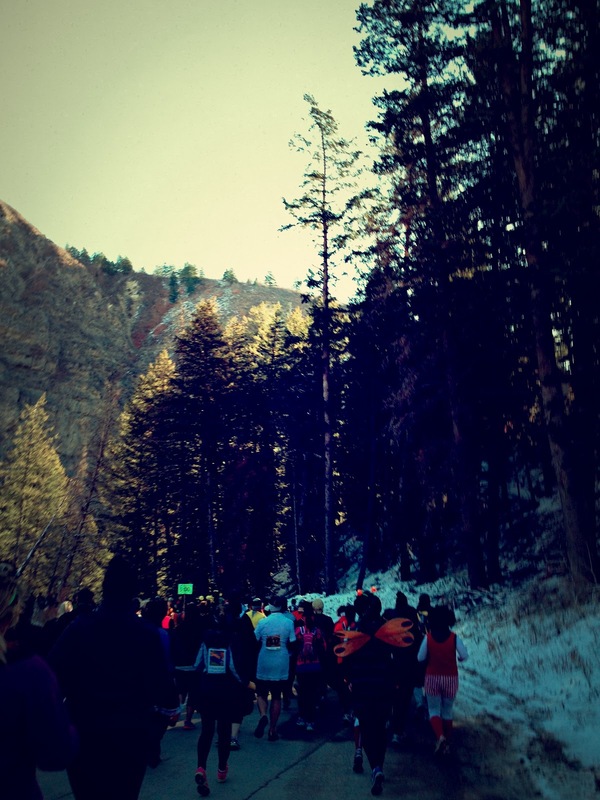 Its crazy how a week later the Provo Canyon looks so different than it did! 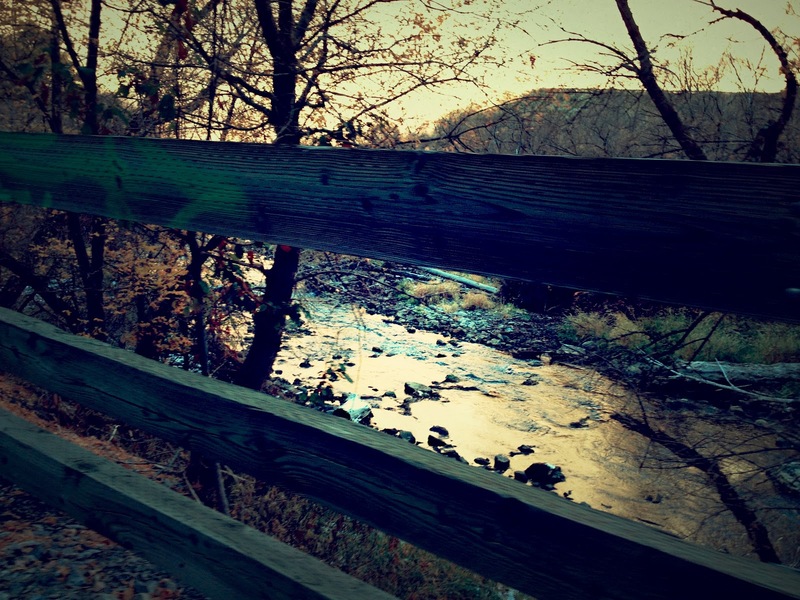 Lots of leaves fallen, colors changing…pretty neat. I think its safe to say..winter is here! Heres some pictures I got from the race off of zazoosh.com. Can you tell we were pooped from running? haha a nice power walk works! That's so awesome! You guys make it look so easy with your big smiles! 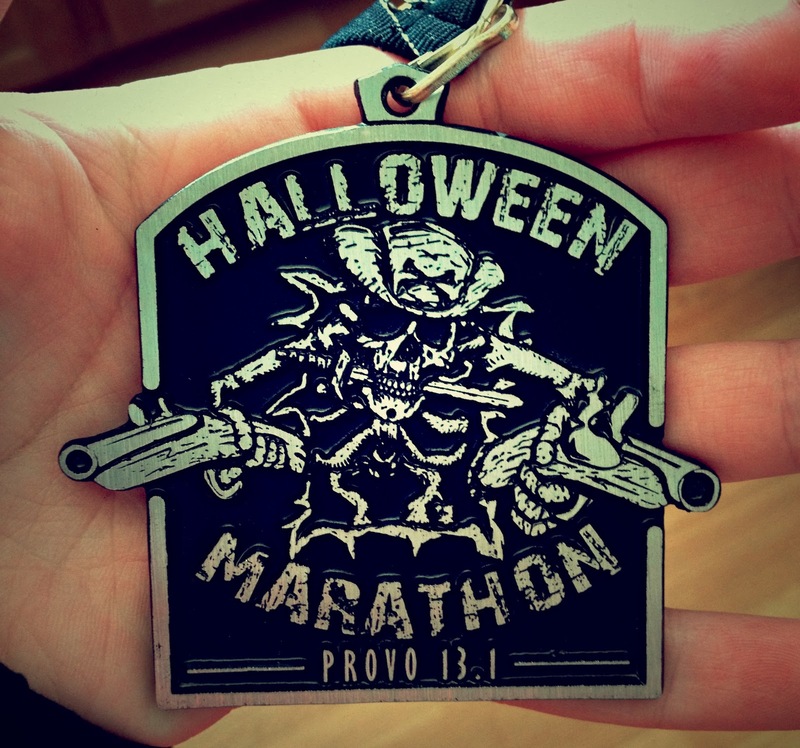 The Provo City Halloween Marathon was a blast this year. I love the costumes! I hope they didn't get too hot. Shaylynn, They Let Me Blog. I'm just stalking.. I do that sometimes. The puking.. the puking because of an outhouse/portapotty. I am so sad for you. 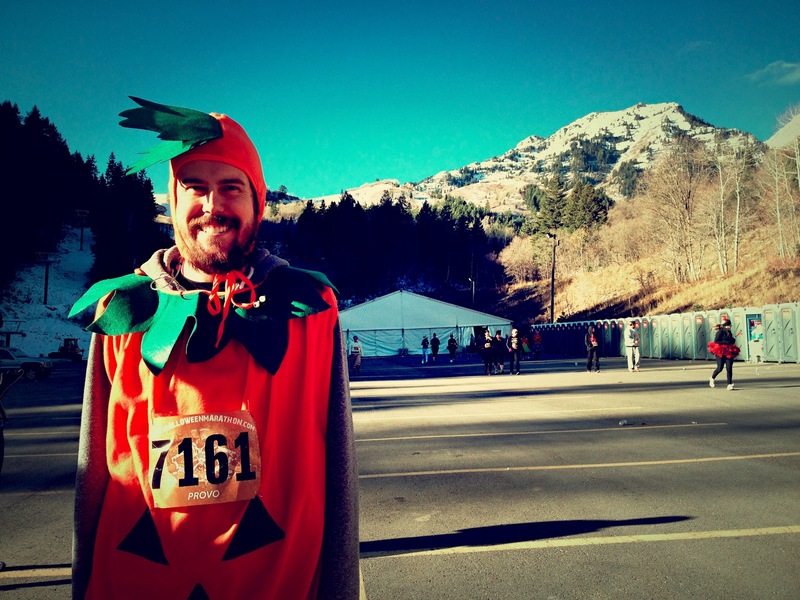 I ran a 5K just outside of Provo 2 weeks agoish.. and that potties smelled like lemon. You clearly need to run 5k's and not half marathons. Learn from me. Learn from me. This is awesome!!! You go girl!